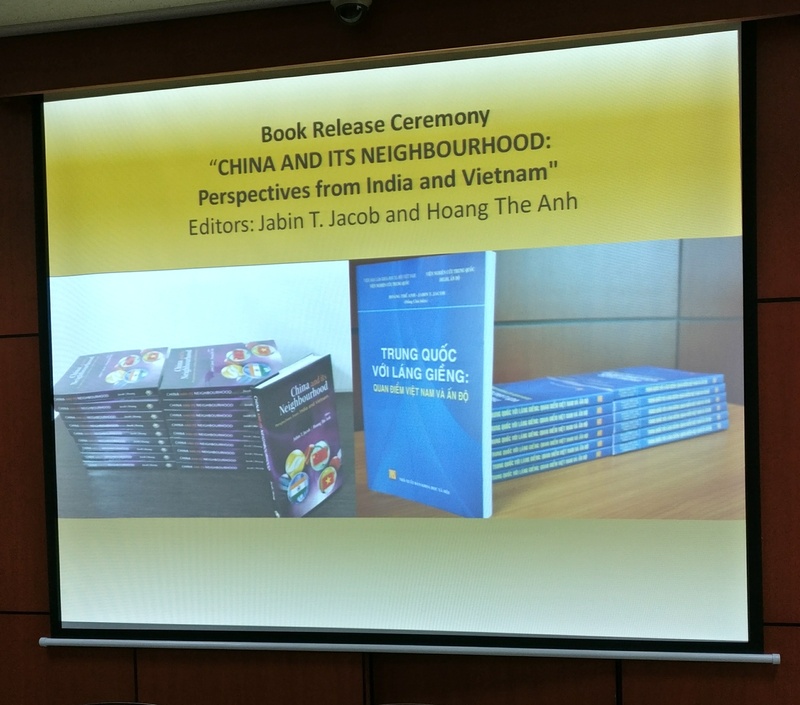 Jabin T. Jacob and Hoang The Anh (editors), China and Its Neighbourhood: Perspectives from India and Vietnam (New Delhi: Pentagon, 2017). Vietnamese edition: Trang Quoc voi lang Gieng: Quan Diem Viet Nam va An Do (Hanoi: Vietnam Social Sciences Press, 2017). 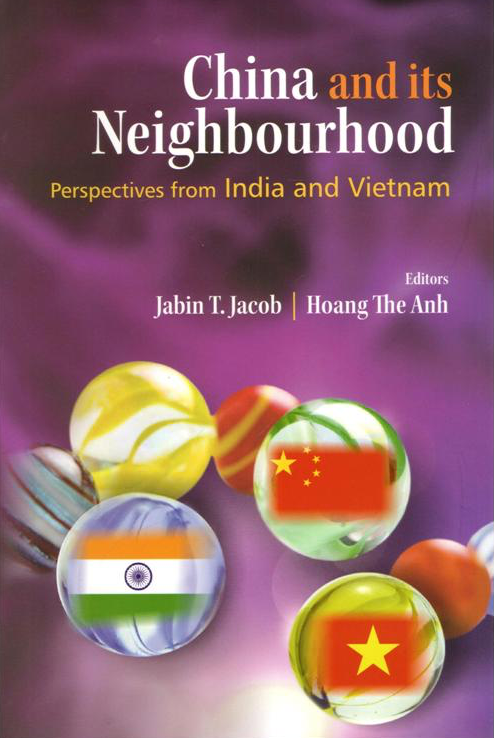 This volume is an attempt to develop a more nuanced understanding of China’s foreign, security and economic policies by bringing together perspectives from two of its most important neighbours, India and Vietnam. This is a unique exercise because these two countries have a long history of both contending and cooperating with the People’s Republic of China. Even as India’s boundary dispute and Vietnam’s maritime territorial disputes with China have persisted, both countries have, in recent decades, also managed to successfully develop close economic relations with their northern neighbour as well as cooperated extensively with Beijing on regional and global issues of significance and mutual interest. Yet, the growth of China’s capabilities and ambitions, and the decline of its impulse towards multilateralism present challenges for India and Vietnam in their neighbourhood. It is against this backdrop that the authors in this book examine China’s bilateral relations and its role in regional multilateral organisations as well as the balancing behaviour of other powers in the region. In the process, this work also seeks to strengthen the sinews of the comprehensive strategic partnership between India and Vietnam by building closer ties between the research communities in the two countries and giving it greater analytical heft. In India, Vietnam has the image of an uncompromising bulwark against China and almost any discussion of India’s external options vis-à-vis China is not complete without bringing Vietnam into the picture. Hanoi, meanwhile, sees India as a big neighbour to China and that while the relationship between the two countries has had its ups and downs in history, New Delhi now seems to be both cooperating and competing with China. India’s experience of dealing with China holds lessons for Vietnam. At the same time, it is extremely essential for policymakers and strategic analysts in India to keep a close eye on the dynamics of the China-Vietnam relationship itself. How relations between the two most successful communist regimes in the world – politically and economically speaking – will develop remains to be seen. There are both lessons to be learnt and cautionary tales here. New Delhi should have a realistic assessment of the lengths to which Vietnam will go in countering China’s assertiveness in the region given that it is the smaller country. At the same time, given Vietnamese history, there is also scope for calibrated measures to support Vietnam’s national capacity. This article was specifically requested as an op-ed by the Renmin Ribao at very short notice. I submitted it in early December 2014 in English and they sent a Chinese translation for my approval. I approved it but it was then never published.